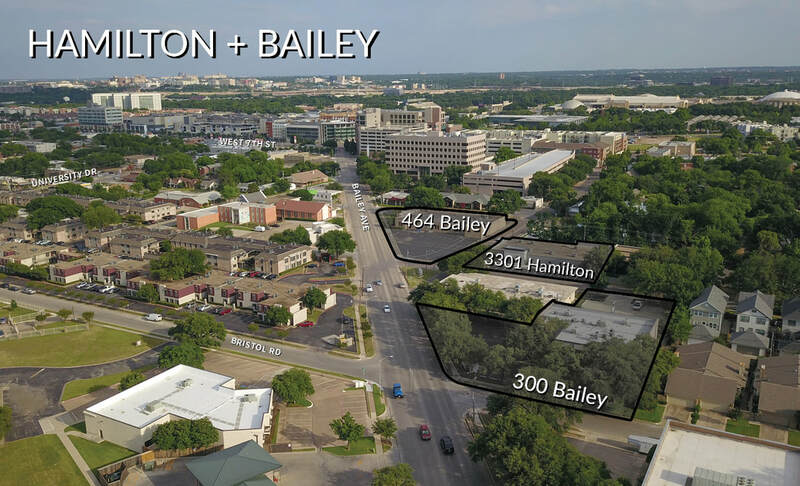 ​​The Hamilton + Bailey office development is comprised of 3 unique office properties, 3301 Hamilton Ave, 300 Bailey Ave, and the marquee property, 464 Bailey Ave, each with their own distinct character and fit in the market. The project sits between Bailey Avenue on the east, 4th Street to the south, and Bristol Road to the north. Well situated within the Cultural District, Hamilton + Bailey is adjacent to some of Fort worth’s most sought after single and multi-family neighborhoods and has immediate access to some of the City’s most touted attractions and developments, making it a prime location to attract and retain a talented workforce.